Seely was born in Titusville, Pennsylvania, in 1940. She was the youngest of four children. Growing up, Seely, along with her siblings and parents, lived in a two-story farmhouse, which still exists today in her hometown. Her musical influences partially came from her parents, Leo and Irene. Leo played the banjo on the weekends and also called local square dances. Seely's mother Irene sang with her daughter every Saturday morning while they baked bread together. She started listening to the weekly broadcast of the Grand Ole Opry at age 11. By the time she was 16, Seely appeared on television station WICU in Erie, Pennsylvania. While in high school, she was an honors student and was also a cheerleader. After she graduated high school in 1958, Seely worked in her hometown's bank. She also did night courses at America's Institute of Banking. At age 21, Seely packed up everything she owned and moved to California. She first started working at a Beverly Hills bank, but left after a year and worked for half the money as a secretary at Liberty and Imperial Records in Hollywood, California. Seely also at this time started working for Four Star Records (a record company Patsy Cline once recorded for), where she began her career as a songwriter. The R&B artist Irma Thomas recorded one of her songs called "Anyone Who Knows What Love Is", that became a big pop hit for her. Seely also appeared as a regular act on the program Hollywood Jamboree with Glen Campbell, who was a rising country music star at the time. Finally, Seely got a recording contract of her own from Challenge Records. Songwriter Hank Cochran was impressed with Seely's talents and thought she should move to Nashville to pursue a career in country music, but Seely didn't think she was ready yet. Upon the encouragement of country singer Dottie West (who also recorded one of her songs), she finally took Cochran's advice in 1965 and moved to Nashville. 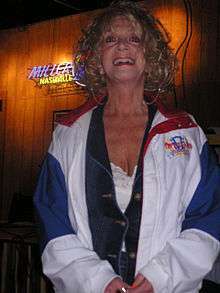 Success of "Don't Touch Me"
Upon arriving in Nashville, she was hired to fill in for Norma Jean on Porter Wagoner's road show and television series. Seely was also looking for a record label during this time, having been initially turned down by every record label in town; however Monument Records ultimately offered her a recording contract in early 1966. She was soon recording in the studio by March of that year. One of the first songs recorded was her husband's composition, "Don't Touch Me". Seely's recording became her first major chart success, peaking at the No. 2 position on the Billboard country singles charts, and stayed there for three weeks; on all the other major country charts (Cashbox, Record World), the song reached No. 1, and remained on the charts for over five months. The song climbed into the lower regions of the pop singles charts, peaking at No. 85. Because of the success of "Don't Touch Me", Seely was invited to perform on the Grand Ole Opry that June. She also won Billboard's, Cashbox's, and Record World's "Most Promising Female Artist Award". In March 1967, Seely won the Grammy award for Best Female Country Vocal Performance for "Don't Touch Me", becoming only the third female country singer to win the award. That year, an album was released, titled The Seely Style, which featured "Don't Touch Me". In September 1967, Seely joined the Grand Ole Opry, a lifelong dream of hers, where today she still remains a member. Following her breakthrough hit's success, Seely released a follow-up single titled "It's Only Love", from her first album. The song made the top 15 on the country charts at No. 15. The next year, Seely had two other top 40 country hits from her next album, Thanks! Hank, one of which hit the Top 20, called "A Wanderin' Man". For the rest of the decade, Seely enjoyed only one other top 10 song, titled "I'll Love You More (Than You'll Ever Need)" in 1968. Another album released in 1968, titled Little Things, produced a top-30 hit, "Welcome Home to Nothing". Seely stayed under Monument until late 1968, before switching to Decca records in 1969. For several years she was married to Hank Cochran, the writer of such songs as “Make the World Go Away”, “She's Got You”, “I Fall to Pieces”, “The Chair”, and “Ocean Front Property”. The marriage – the only for Seely but the fourth for Cochran – ended in a divorce. While moving over to Decca in 1969, Seely teamed up with fellow country star Jack Greene. Together they recorded a single ("I Wish I Didn't Have to Miss You") and an album (Jack Greene/Jeannie Seely). Their single hit No. 2 on the Billboard country charts in 1970 and No. 1 on all the other major country charts, making the duo one of the most successful duet pairings of the early 1970s. Their road shows were also successful, and gave both singers' careers a boost. In 1972, they released a new album, entitled Two for the Show. Two singles from the album hit the top 20 on the country charts, starting with "Much Oblige", followed by "What in the World Has Gone Wrong With Our Love". The duo has been nominated for the CMA Awards' Vocal Duo of the Year as well as various Grammy award nominations. Together they toured for ten years performing everywhere from New York's Madison Square Garden to London's Wembley Arena, most often in country music "package shows". After being successfully paired with Greene, Seely saw the time to take note to revitalizing her career as a solo artist. In 1973, Decca became MCA records. Under MCA, she recorded a new album, titled Can I Sleep in Your Arms/Lucky Ladies, the name of two singles to be released by Seely between 1973 and 1974. The first single was released in 1973, which was "Can I Sleep in Your Arms". The song was well liked by Country radio, and peaked in the top 10 at No. 6, just missing the Top 5 spot. "Can I Sleep in Your Arms" was originally derived from an old hobo lament titled, "Can I Sleep in Your Barn Tonight". The follow-up to the top 10 came with "Lucky Ladies" in 1974, which came close to hitting the top 10, peaking in the top 15. "Lucky Ladies" was also derived from another song. Seely transformed an old Appalachian ballad titled "Come All You Fair and Tender Ladies" to "Lucky Ladies". While under MCA, Seely's material got more sexual and riskier like 1975's "First Time" and 1976's "Since I Met You Boy". In early 1977, Seely switched labels again, this time to Columbia records. After just getting started under a new record company, Seely was involved in a serious near-fatal automobile accident in 1977, which almost caused her career to come abruptly to an end. Because of the support of friends and family, most notably good friend Dottie West, Seely was able to recover and return to touring and performing. (In August 1991, West was involved in a serious automobile accident, which would ultimately claim her life.) Today, Seely greatly misses West, and she was played by Cathy Worthington in the TV-movie about West's life in 1995, titled Big Dreams and Broken Hearts: The Dottie West Story, starring Michele Lee. By late 1977, Seely's chart success was already fading from the public view. Her last record to hit the national charts came later that year, with the song "Take Me to Bed". In the early 1980s, Seely continued to record and perform. She served as an opening act for Willie Nelson's road show, appeared in his film Honeysuckle Rose, and recorded for the soundtrack, which eventually received a "Platinum" rating by the RIAA. Seely also became the first female country singer to host half-hour segments of the Grand Ole Opry, first starting in 1985, when country singer Del Reeves was caught in a snowstorm. In the late 1980s, Seely played various acting roles. She played "Miss Mona" in The Best Little Whorehouse in Texas play as well as playing Jean Shepard's daughter and Lorrie Morgan's mother in the country music musical Takin' It Home. In 1988, she also published her own book, titled Pieces of a Puzzled Mind. In the early 1990s, Seely continued to try new things, including playing Danny Shirley's mother in the music video for Confederate Railroad's 1993 No. 1 hit "Trashy Woman". Seely has played at Dolly Parton's "Dollywood" and served as Brad Paisley's date for the 2000 CMA awards show. Lorrie Morgan has also recorded one of Seely's compositions for her 1997 album, Shakin' Things Up. Morgan credits Seely to be one of the biggest inspirations to her career, and even refers to her as a second mother. In 2003, Seely appeared in the movie Changing Hearts starring Faye Dunaway. Fellow country singers and friends Rita Coolidge and Jan Howard also appeared in the movie. In the fall of 2003 Seely released a new album, marketed towards bluegrass music and titled Life's Highway, which received high critical acclaim. Today, Jeannie Seely still remains a member of the Grand Ole Opry and lives close by the Opry in a house by the Cumberland River that was renovated and decorated by Seely herself. On May 3, 2010, Seely posted on her official Facebook page that she had lost her home along Nashville's Cumberland River, including car, clothes and personal possessions, as a result of the 2010 Nashville flood. Seely and her dog, Cheyenne, sought refuge at a friend's. On November 10, 2010, Seely married attorney Gene Ward. "I'll Love You More (Than You Need)"
"Can I Sleep in Your Arms"